Despite scoring the third most runs in baseball, the 2014 Colorado Rockies finished with a disappointing 66-96 record. The lofty offensive output is even more impressive when considering its two top hitters, Troy Tulowitzki and Carlos Gonzalez, missed a combined 164 games. Tulowitzki and Gonzalez are perennial All-Stars, but staying healthy is a top priority in 2015. In their absence, first baseman Justin Morneau, third baseman Nolan Arenado, and outfielder Corey Dickerson stepped up and led the offense. Morneau, who posted a .319 batting average and clubbed 18 home runs, was finally healthy while Arenado and Blackmon, who are two promising young players, combined to hit 42 home runs. Colorado’s starting rotation was the worst in baseball and none of its starting pitchers posted ERAs below 4.00. Colorado continues to build its farm system, but has issues signing respectable starting pitchers. The National League West is one of the most competitive divisions in baseball, so Colorado may have a tough time competing. Colorado has the offensive power to match-up against any team in baseball, but its starting rotation must limit the opposition. On TicketIQ, the average price on the secondary market for Rockies Opening Day tickets is $204.92 while the get-in price is $70. 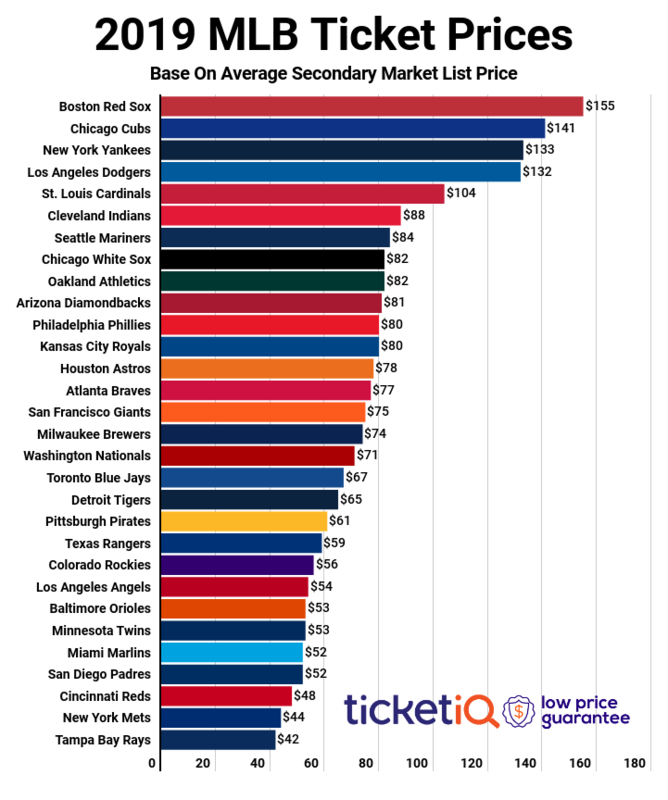 Ticket prices for Opening Day 2015 are the highest over the last five Opening Days at Coors Field. The higher ticket prices are tied to drawing power of the new-look Chicago Cubs. On Opening Day, Jon Lester will likely matchup against Jorge De La Rosa. Colorado’s right handed hitters, namely Tulowitzki and Arenado, will look to take advantage of Lester’s platoon splits while left-handed hitters, namely Gonzalez and Morneau, may struggle against the crafty lefty. Colorado will likely struggle to make the playoffs until it develops new starting pitchers. Last year’s first round pick, starting pitcher Jon Gray, appeared in Double A last season and may be called up sometime during 2015. Colorado’s lineup should score runs at a high clip and win or lose, its home games are always entertaining.